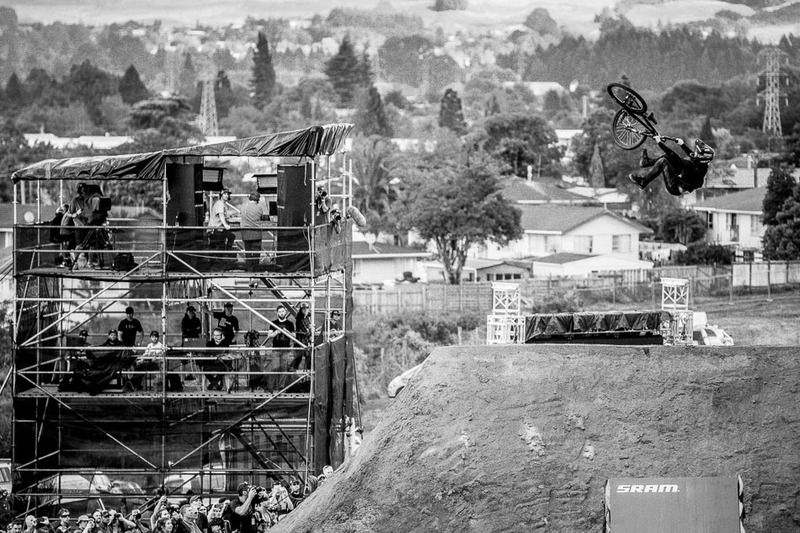 The 2015 Crankworx Rotorua Slopestyle finals went off today, despite almost 24 hours of persistent rain leading up to the event. The contest was scheduled to start just after midday in Rotorua, New Zealand, but with rain still falling and only a hint of blue sky on the horizon, organizers pushed back the start until 2 p.m. local time. 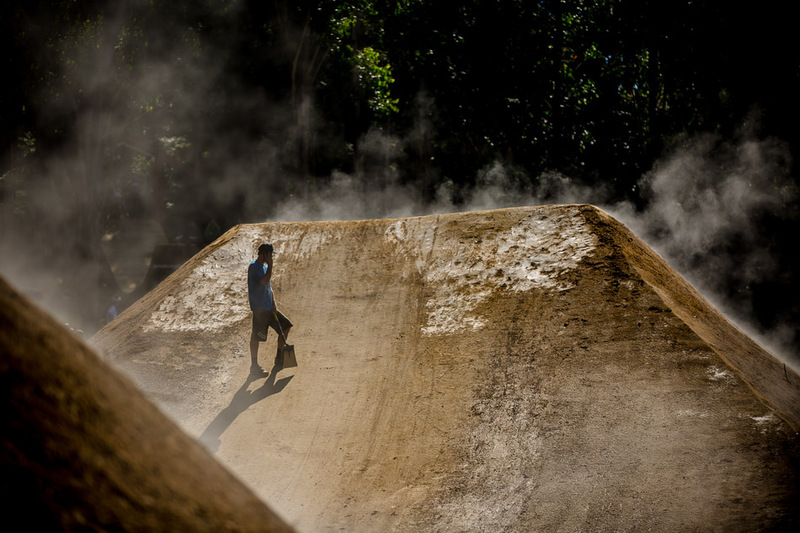 The sun eventually came out, but most of the riders expressed apprehension over the course conditions, with some claiming out loud that they wouldn’t be able to attempt their biggest tricks on the wet mixture of sandy clay. 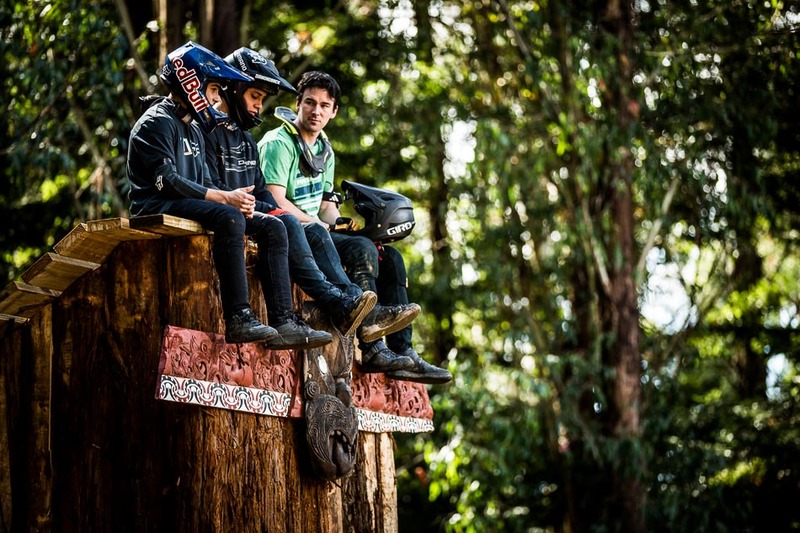 But with television rights and programming schedules dictating the itinerary, the contest was started around 3 p.m. and the resilient group of riders made the best of it. 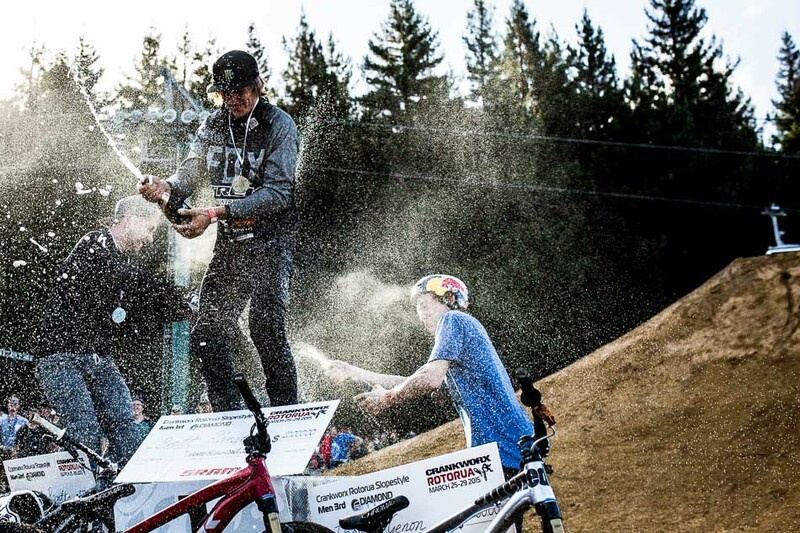 When all of the peanut-buttery mud had been slung from competitors’ tires and the many frustrating crashes had taken place, Brett Rheeder came out on top, laying down a near-flawless run and winning the first stop on the 2015 FMB World Tour. After rain all the previous night and well into midday, the mid-afternoon sun was burning steam off the jumps as riders got in their practice runs. 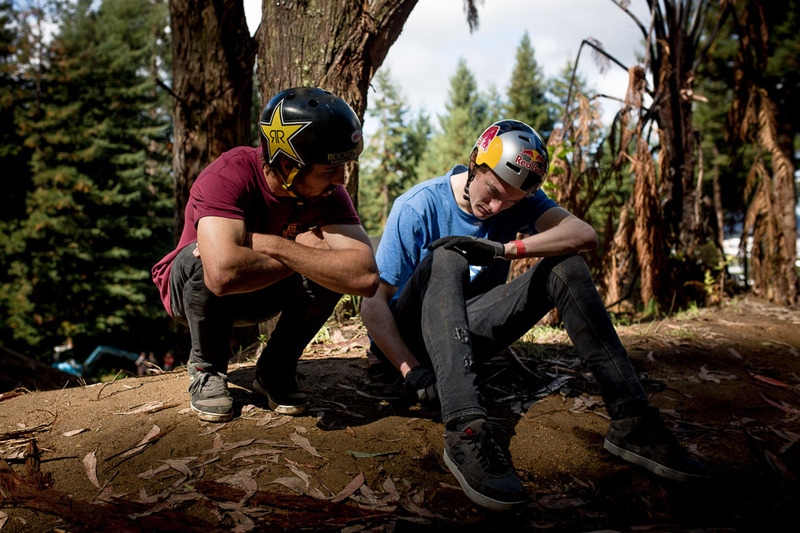 Riders were sitting at the lip of the top jump, waiting for the course to dry out, wondering if it would be their day. 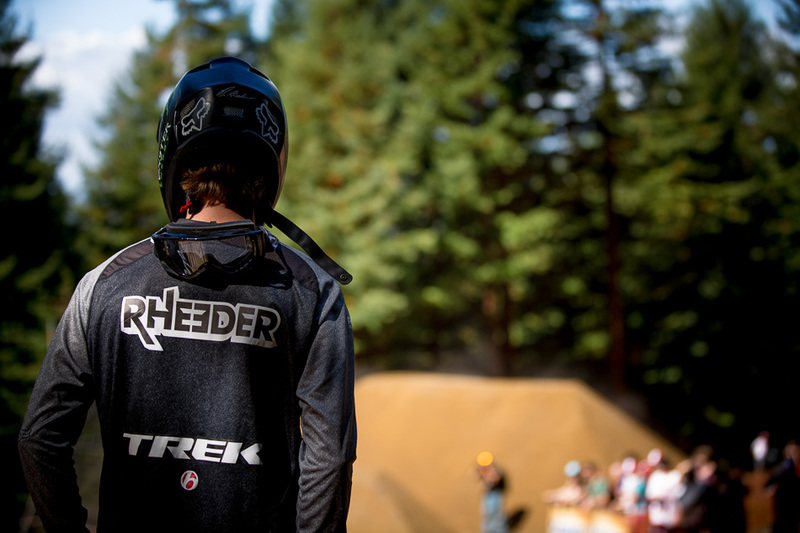 While waiting for the jumps to dry, Brett Rheeder was surveying the course, imagining his line and wondering if it would be the day in which he would finally win a Crankworx Slopestyle event. Louis Reboul and Thomas Genon confer about the course conditions just before the start of the contest. After the riders’ first runs, they had to resort to breaking off branches to knock the peanut-butter mud off their tires. 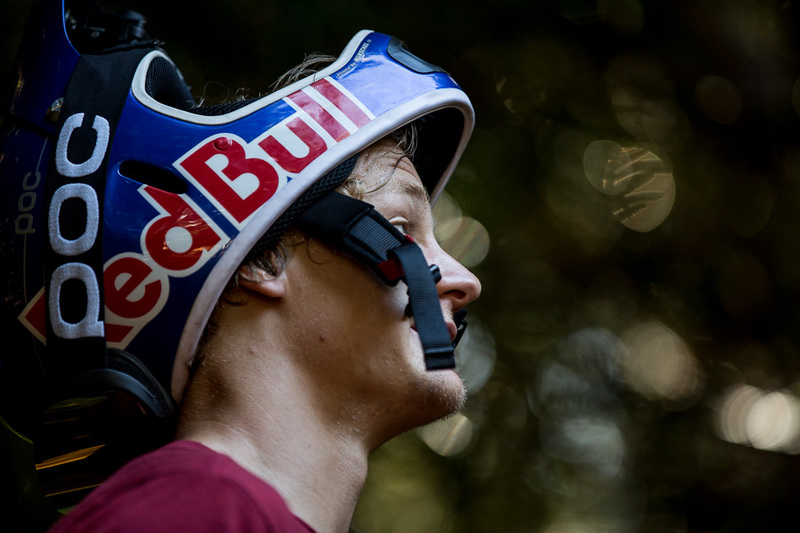 After winning the Dual Speed and Style competition, Martin Soderstrom had been the comeback story of Crankworx Rotorua, but the Holy Grail for him would have been a Slopestyle victory. Though he secured a fourth-place finish, he had his sights squarely set on a podium finish. 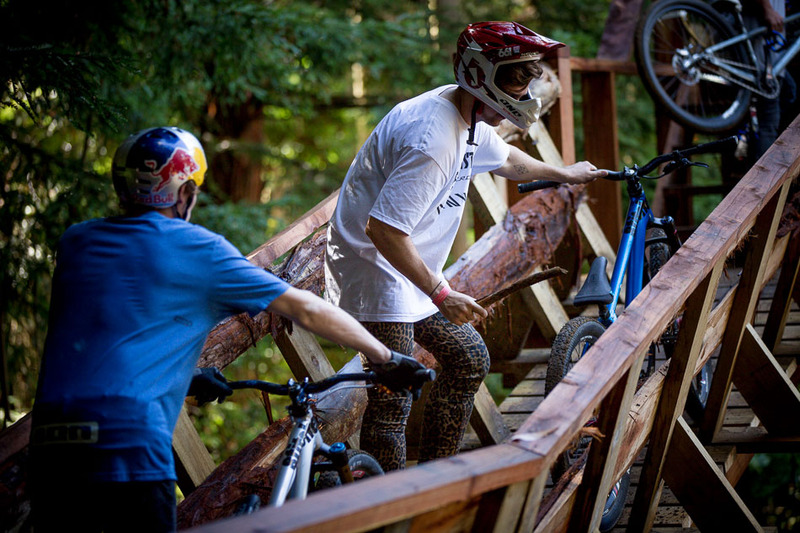 Brett Rheeder showed nothing but style from top to bottom. 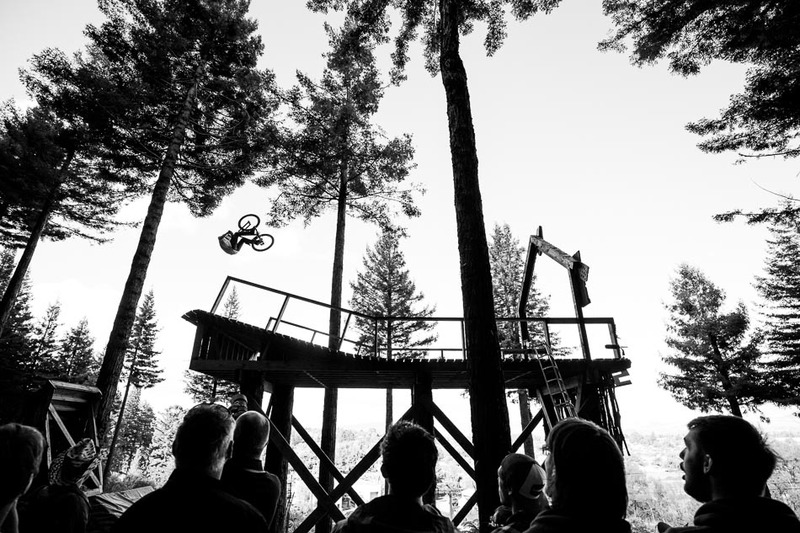 Even though it was his first major slopestyle event, Paul Genovese came flying out of the gate. Frenchman Louis Reboul showed some of the biggest style of the event, but he also had one of the most consequential crashes of the day. 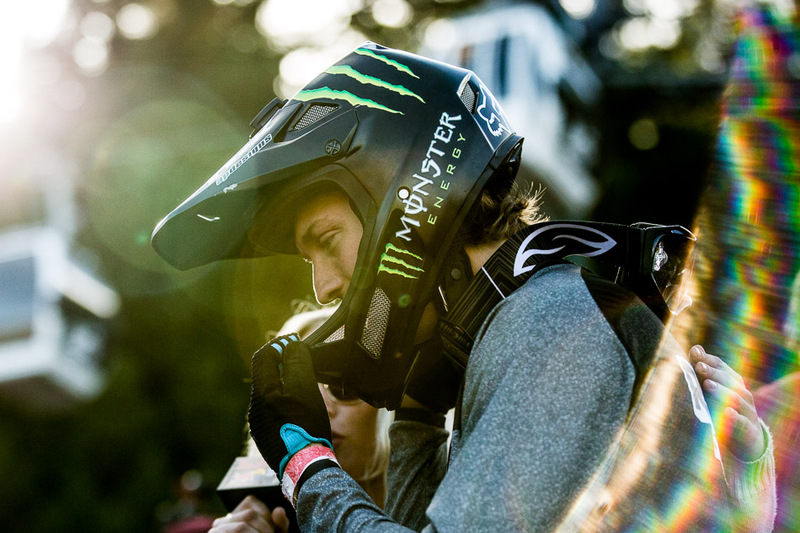 At this Crankworx Rotorua, Martin Soderstrom definitely proved that he’s fully recovered from injuries and is a force to be reckoned with. It was moments like this that solidified Brett Rheeder’s undisputed victory. 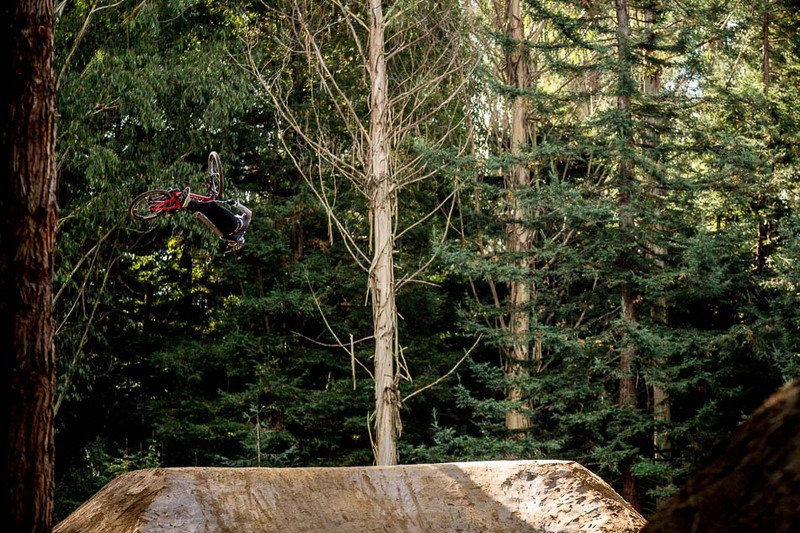 Brandon Semenuk’s first run was almost flawless until he crashed on the final jump after doing a 720 with what appeared to be a late bar-spin. 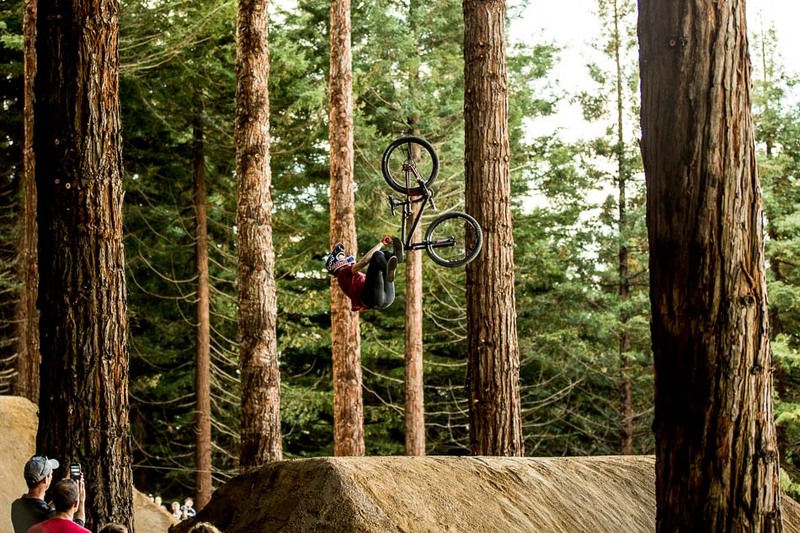 Anthony Messere attempted to pull off the same cork 720 as Brett Rheeder, but even though he’s done this trick many times before, it wasn’t in the cards today, and he crashed hard to end his Crankworx Rotorua. 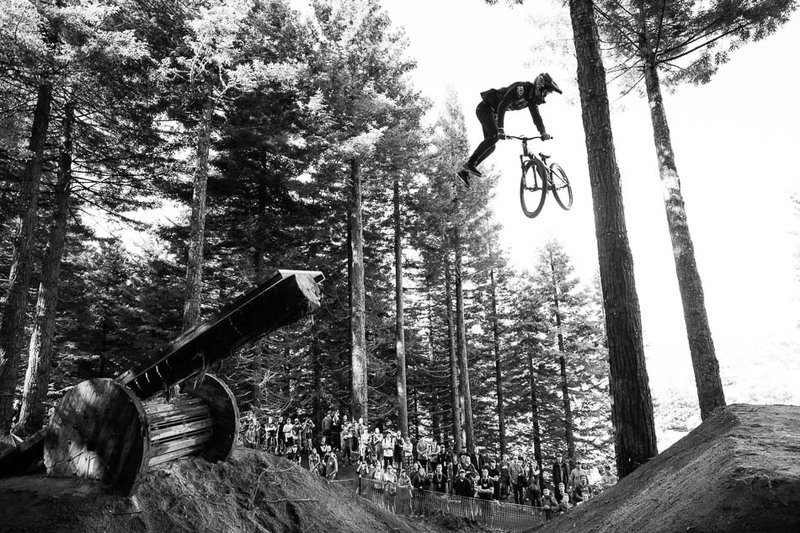 True to form, Cam Zink put it all on the line. 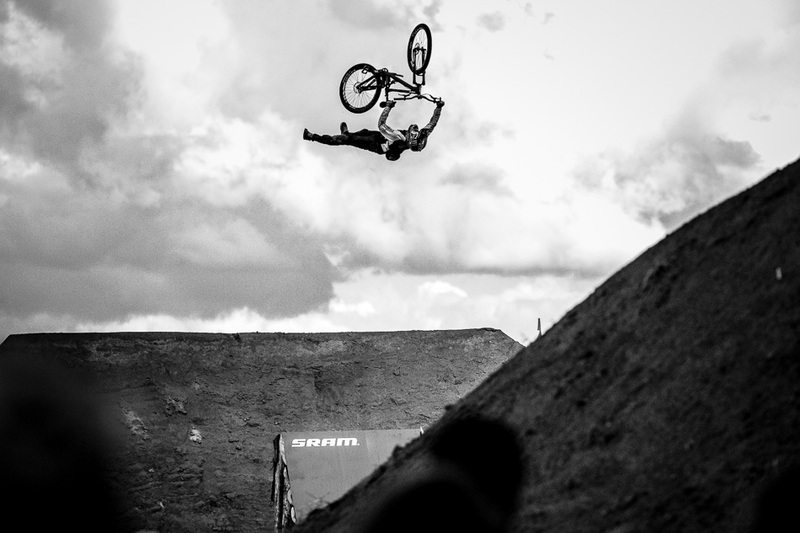 After front flipping the first jump, he ended his run with a massive superman backflip. 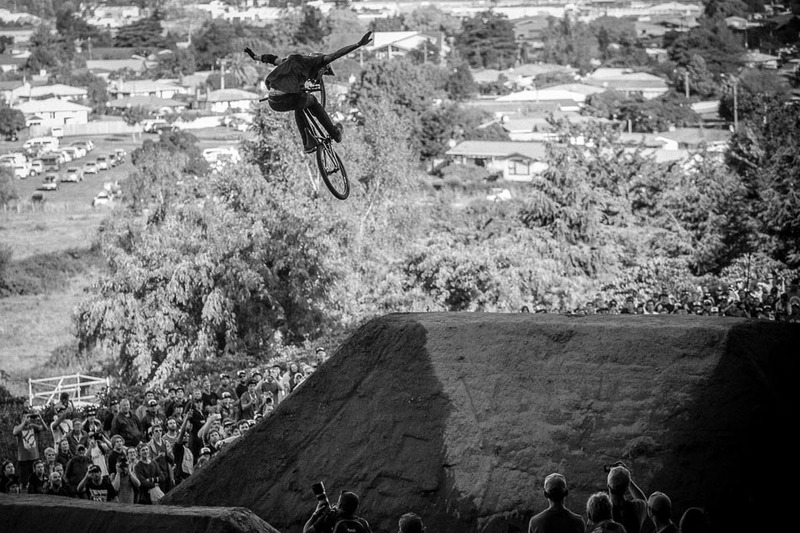 After throwing his bike following a crash early in his run, Carson Storch collected himself enough to treat the crowd to a stylish flip whip. 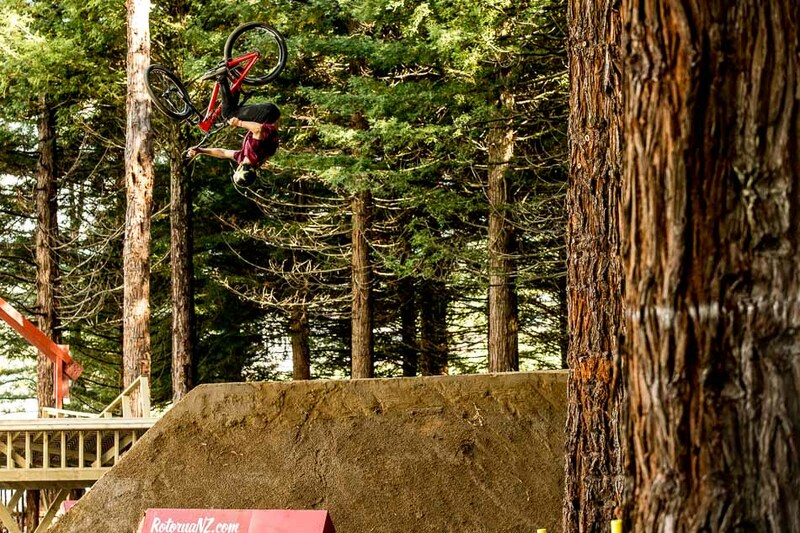 Nicholi Rogatkin redefined what Devo could have ever imagined, and whipped it so many times on the way to the bottom that everyone was seeing red. 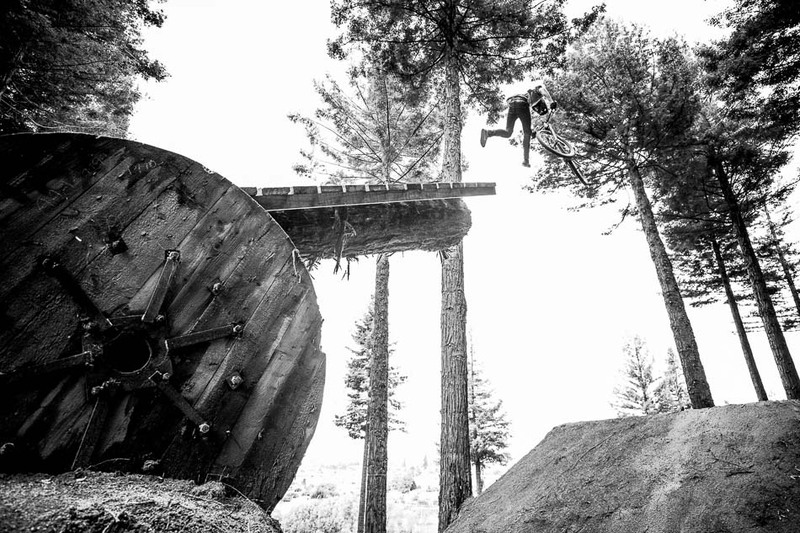 Despite adverse conditions, many riders were hell bent on stomping their lines. 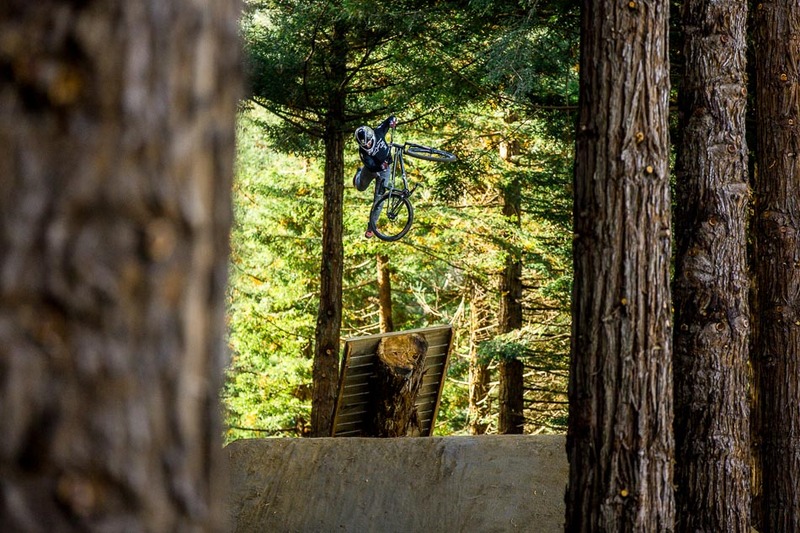 And Tomas Lemoine wasn’t going to take the easy route onto the step-up platform, preferring instead to stick to his guns and front flip onto the box as planned. 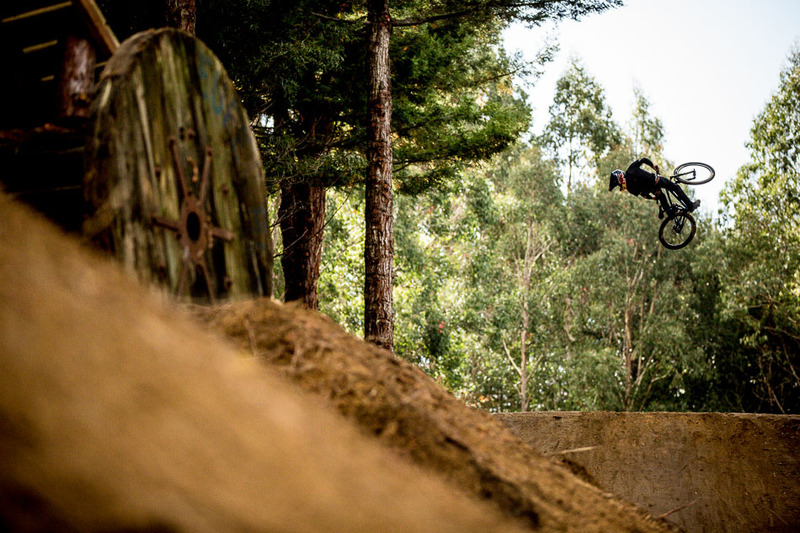 What with all the whips, flips and unconventional combos, sometimes nothing beats a good-old Soderstrom tuck no-hander. Brett Rheeder is a Monster, but he probably doesn’t drink it. And after spraying all of his champers on his competitors, he didn’t have much bubbly left to drink, either.